I've been waiting for this sword to come for the longest tim ..
King Theoden, courageous soldier and leader of the land of Rohan, fell under the power of the wizard Saruman through the slithering machinations of his servant Grima. Only through the intervention of Gandalf the White was Theoden exorcised of Saruman's corrupting influence. Gandalf said to Theoden, "Your fingers would remember their old strength better if they grasped your sword," and at that moment Theoden's mind cleared, his authority as king returned to him, and his great sword, Herugrim was once more returned to his grasp. 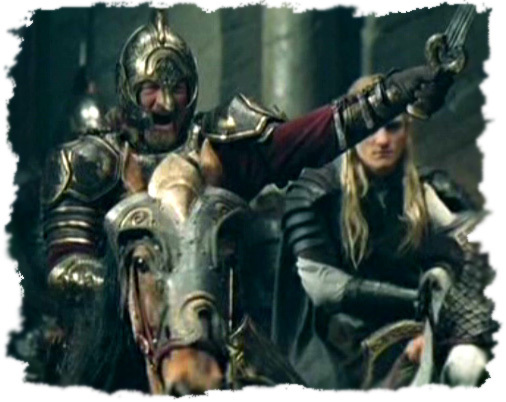 Theoden went on to lead the defense of Helm's Deep and the charge of the Rohirrim to the aid of Gondor and against the hordes of the enemy that assailed the White City. The hope of all Men and Free Peoples then lay in the defense of Minas Tirith. Herugrim is out of stock. This officially licensed replica of Herugrim comes with a certificate of authenticity and a wooden display plaque. Manufactured by United Cutlery. Handle Material: Solid metal guard and pommel with antiqued brass plated finish. Genuine leather-wrapped grip. Rat tail tang construction. Plaque: 11" x 10-1/2" x 3/4" wood, with silkscreened design of the men of Rohan. I have been a tournament sword fighter and jouster for some time in Adrian Empire and the AJA. I have handled many weapons and spend a great deal of time practicing my swordplay. This weapon is finely made, handles well, and with a stainless blade it will last a very long time with minimal care. Corrosion is nearly impossible with a little effort. Clearly you would not want to fight with such a fine weapon, and stainless is more brittle to be sure, but parade and presentation use is well suited to this blade. After spearing rings on a medieval gaming course on horseback with this weapon, I can say it performed well and impressed onlookers as well. I purchased this weapon out of respect for the noble character in the trilogy that wielded it - King Theodan. He was a just king and good man in my opinion. While so many purchase the swords of the main characters, this blade will take you off the well-beaten path to enjoy a true masterpiece. Lord X E Ryder KoJ..
A real cavalry sword. It's elegant and heavy. There's so much to tell about this product.. Well If you are thinking about which sword of LOTR to buy, Herugrim is a good idea. You just don't know what this sword is before you took it in your hands. It is worth 7 stars, but I think 5 is an insult.. I received it within one week to Canada. I had a perfect customer service. I'm no longer hesitating buying from CBswords. .. WOW!!!!!!!! This is a GORGEOUS sword!! 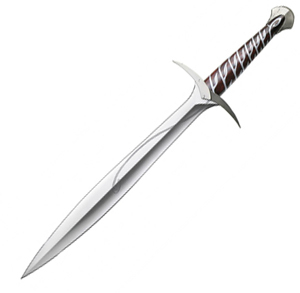 I own Narsil and Anduril, and this sword definitely holds it's own against them. The guard with the facing horse heads are awesome... everything about this sword is a work of beauty. Props to CB Swords!!! I ordered this sword last Wednesday and received it exactly 6 days later. Not to mention the incredible prices they have! I will most definitely send more business their way!!! .. Forth Eorlingas! My god this is a cool sword. The design on the handle is amazing. This sword is a work of art. I highly suggest you buying it. I can't put it down. ..
All I can say is WOW! I ordered Herugrim on the weekend and it was shipped first thing on Monday! The craftsmanship is truely amazing! This is my first sword purchase, and it will definatly not be my last from CB Swords. The prices are way more competive than other places online and the quality of work is amazing. I fell like Theoden when i grap it. The blade is perfect and the leather handle is of the best quality. I recommend this sword for anyone's LOTR collection. Thumbs up CB Swords!.. This sword is amazing. The detail on the hilt is very cool. It is everything I hoped for and more. It is much better than the picture shows. It looks great hanging on my wall. A must have for LOTR collectors:) Russell .. I agree.... a fine though HEAVY sword.... beautiful! Reminds me of a roman centurion short sword..... wish they had made the scabbard!!!.. 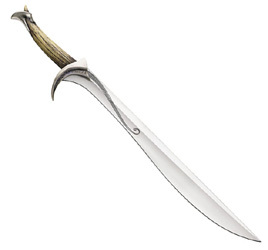 I have this sword ( did not buy it from CB ) and I think it's a nice blade. The only "bad" thng about it is that it's a little to heavy. I give it 4 of 5!.. I bought this sword maybe a year ago and I still love it! I am a huge fan of The Lord of the Rings books and movies. This is a beautifully made sword, if only i could actually do some swordplay with it without damaging it! A DEFINITE buy!!!.. Herugrim is a very stunning sword and it is kinda lightweight so it is not very heavy i would suggest you get it it is a piece of art.. I recieved my Herugrim just a moment ago. I have studied it carefully and taken a few swings. It is AMAZING - and it is perfectly balanced. I think it is the most beautiful sword in Middle Earh, maybe except Glamdring. It only took about a week to get to Norway from the US, very good CB Swords! The plaque also is beautiful, and the sword was oiled. This is my first sword, but I am sure I will order more! The meaning of the name Herugrim really fits the sword; "fierce in battle"! And one more thing: I cannot put it down... :-).. This sword falls somewhere in between a Roman gladius, and a traditional Viking sword, in blade length. It is a one handed sword, and the weight is all forward of the crosspiece, as the handle offers no counterweight. 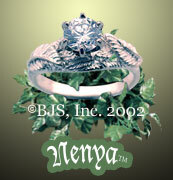 But it is beautifully made, and it would be nice if Theoden's Helm was available to go with it. [I give it six stars. ]..